Barcelona El Prat Airport (BCN) is the closest airport to Olivella, Sitges, and the city of Barcelona. We highly recommend flying into BCN, as the other two nearby airports — Reus and Girona — are farther and much less convenient. We also recommend staying in Sitges at least from Sunday-Tuesday, July 6-8, 2014. Sitges is a small coastal town 30 minutes south of Barcelona. Home to nine sand beaches and world class food, it makes a great home base for exploring Spain. In addition, Sitges is conveniently located near the inter-city train station and Casa Felix, and we will be providing transportation to/from Sitges on the day of the wedding. 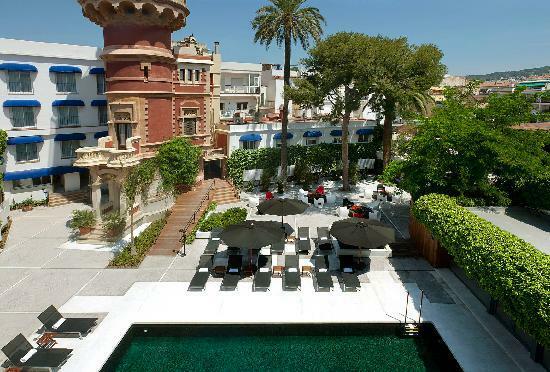 We have reserved a block of rooms at a discounted wedding rate at Hotel Medium Sitges Park. To receive a 10% discount off the price of your room, enter promotion code JJ2014 on the hotel’s website or email sitgespark@mediumhoteles.com ON OR BEFORE JANUARY 30, 2014. This code is valid for stays between July 4-12, 2014. In addition, the hotel has guaranteed a fixed price of 130€ for the nights of July 6 and 7, even if the prices for these peak dates rise between now and the end of January.